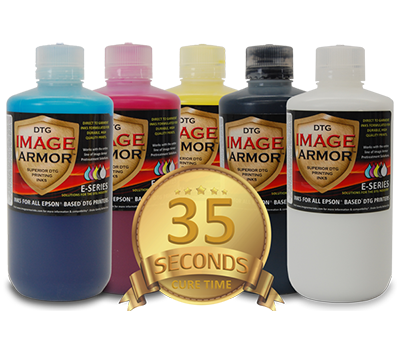 Image Armor E-SERIES inks feature a 35 second white ink cure time that improves your DTG throughput with increased wash fastness, print durability, and ease of use within the direct to garment printer. Plus a new lower price point helps you be more profitable... SEE MORE. 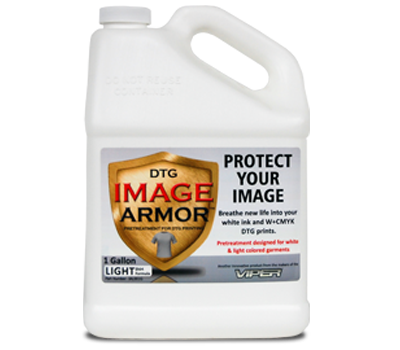 Image Armor LIGHT Shirt Formula is a revolutionary breakthrough for DTG printers worldwide. Designed to increase wash ability, vibrancy and image clarity for EVERY direct to garment printer on the market, the LIGHT Shirt Formula has more to offer than meets the eye... SEE MORE. 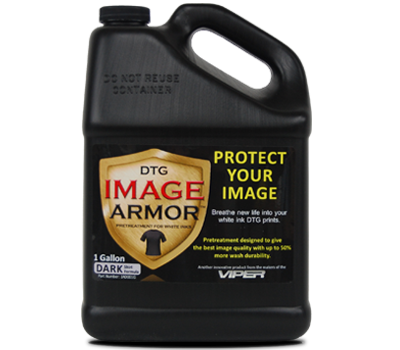 Image Armor DARK Shirt Formula is our original pretreatment for dark shirt printing with white ink. Easier application, wider application window and less pretreatment box are just a few of the features of the Industry's leading pretreatment... SEE MORE. Image Armor ULTRA is designed to gel the white ink faster and is great for use with One-Pass Printing which is quickly becoming more popular. The ULTRA formula is also great for faster printers like the Anajet MP5 & 10 series as well as all printers that use Dupont® ink sets. SEE MORE. 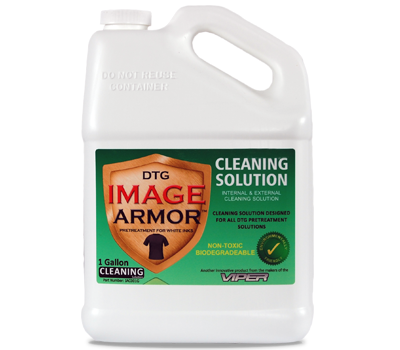 Image Armor CLEANING Solution is our newest product and is designed to help keep your pretreatment machines cleaner and running smoother. New formulation helps break down pretreatment and when used daily can help extend your pretreatment equipment life - keeping you in production... SEE MORE. 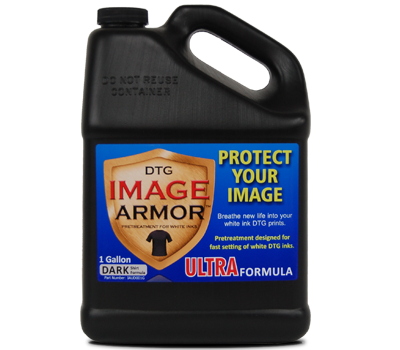 Image Armor DTG PRINTER CLEANING Solution is designed to be used to completely FLUSH your direct to garment printer of any inks. Our CLEANING Solution SHOULD NOT be watered down or left in the printer for extended periods of time. This is the ONLY solution that Image Armor recommends using when changing ink sets.